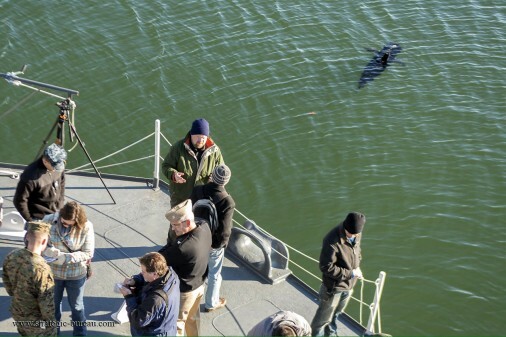 The U.S. Navy completed tests on the GhostSwimmer, UUV – Unmanned Underwater Vehicle, at Joint Expeditionary Base Little Creek-Fort Story, December, 11, 2014. 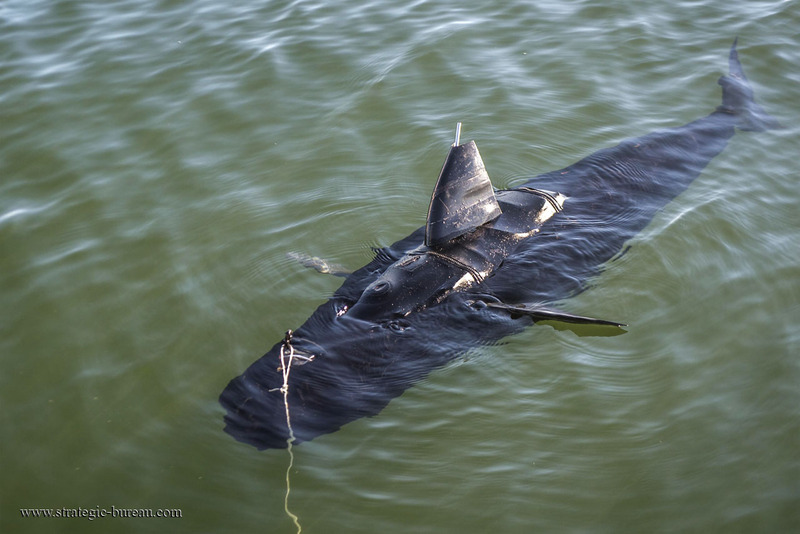 GostSwimmer is the latest in a series of Science-fiction-turned-reality, projects developped by the Chief of naval operations’ Rapid Innovation Cell (CRIC) project, « Silent Nemo ». 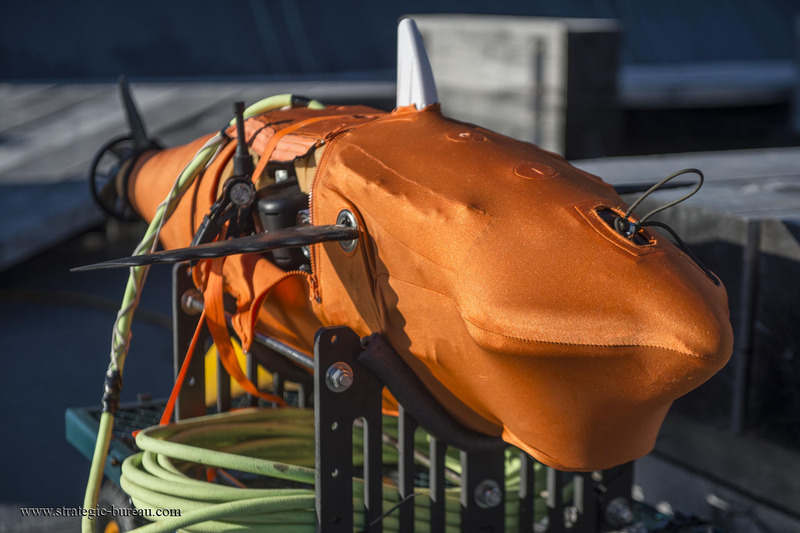 Silent NEMO is an experiment that explores the possible uses for biomimetic, unmanned underwater vehicles in the fleet. The GhostSwimmer was developed to resemble the shape and mimic the swimming style of a large fish. 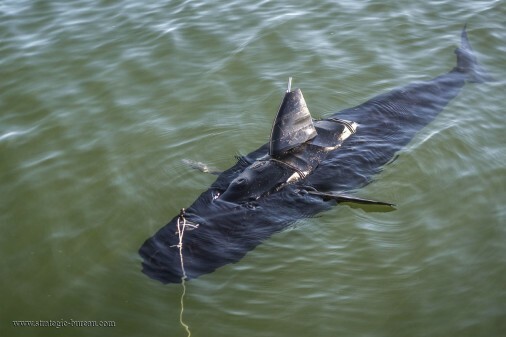 At a length of approximately 1,5 m and a weight of nearly 45 kg, the GhostSwimmer vehicle can operate in water depths ranging from 25 cm to 90 m.
Its bio-mimicry provides additional security during low visibility intelligence, surveillance and reconnaissance missions and friendly hull inspections. The robot is capable of operating autonomously for extended periods of time due to its long-lasting battery, but also be controlled via laptop with a 150 m tether. The CRIC was established in 2012 to provide junior leaders with an opportunity to identify and rapidly field emerging technologies that address the Navy’s most pressing challenges and aims to find ways to quikly employ in the fleet.